The KIT combines the tasks of a university of the state of Baden-Württemberg with those of a research center of the Helmholtz Association in research, teaching, and innovation. Merging the traditions of a renowned technical university and a major large-scale research institution, KIT contributes to sustainable solutions for the grand challenges that face society, industry, and the environment. WISE believes in clean energy that is accessible and affordable for all. Our mission is to conduct original research and develop innovative solutions and policies to help transform the energy system for long-term sustainability. We work closely with utilities, private-sector partners, government and the non-profit sector to ground our work in real-world issues. The Renew­able and Appro­pri­ate Energy Lab­o­ra­tory (RAEL) is a unique new research, devel­op­ment, project imple­men­ta­tion, and com­mu­nity out­reach facil­ity based at the Uni­ver­sity of Cal­i­for­nia, Berke­ley. RAEL focuses on design­ing, test­ing, and dis­sem­i­nat­ing renew­able and appro­pri­ate energy sys­tems for both indus­tri­al­ized and devel­op­ing nations while also address­ing the cul­tural con­text and range of poten­tial social impacts. The Grassroots Energy Innovation Labratory, within the School for the Future of Innovation in Society at Arizone State University, is developing integrated, multi-level socio-technical solutions to grassroots energy innovation that create social and economic value as a foundation for new approaches to eradicating extreme poverty. The Energy & Power Group (EPG) in the Department of Engineering Science at the University of Oxford develops sustainable energy technologies to meet the challenges of climate change, resource depletion and social inequity. A significant research effort of the group is to develop innovations for those without access to electricity through an approach that prioritizes deep understanding of end users and their changing needs. Prof. Nathwani is a sustainable energy expert whose career spans industry, government, the utilities sector, and academia. He is a leading global voice in long-term energy planning and sustainable energy science and advocacy. He is the founding dorector of the Waterloo Institute for Sustainable Enegry at the University of Waterloo and a member of several Canadian Energy sector boards. These include Chair of the Board of Canadian University Network of Excellence in Nuclear Engineering (UNENE), Member of the Ontario Smart Grid Forum, Board Member, Ontario Centre of Excellence (OCE), Member, Clean Tech Advisory Board (Dept. of Foreign Affairs and Intl Trade), Member, Council for Clean and Reliable Electricity (CCRE), and Member, Advisory Panel for the Science Media Centre of Canada (SMCC). Prof. Knebel is a mechanical and nuclear engineer who leads KIT's energy research initiatives across a range of disciplines and issues areas. He is Head of Division III 'Mechanical Engineering and Electrical Engineering' at KIT, being responsible for 36 institutes, the two KIT departments ‘Mechanical Engineering’ and ‘Electrical Engineering and Information Technologies’, as well as the three Helmholtz Programmes ‘Storage and Cross-linked Infrastructures’, ‘Nuclear Waste Disposal and Safety’, as well as ‘Nuclear Fusion’. Across scientific disciplines and research programmes, and in close cooperation with colleagues at KIT and Helmholtz, Joachim Knebel shapes and organizes the research and innovation work which is supporting the 'German Energiewende' and the mobility systems of the future. Daniel Kammen is the Class of 1935 Distinguished Professor of Energy at the University of California, Berkeley, with parallel appointments in the Energy and Resources Group, the Goldman School of Public Policy, and the department of Nuclear Engineering. He is also the founding director of the Renewable and Appropriate Energy Laboratory (RAEL), Co-Director of the Berkeley Institute of the Environment, and Director of the Transportation Sustainability Research Center. 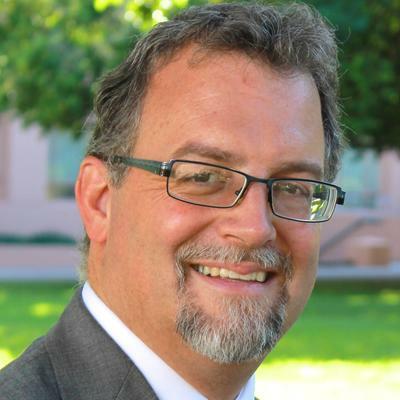 Clark A. Miller is Director of the Center for Energy & Society and Professor in the School for the Future of Innovation in Society at Arizona State University. He also helps lead ASU’s Grassroots Energy Innovation initiative, an interdisciplinary team to advance innovative energy solutions for rural, remote, and poor communities that significantly enhance both the social value of energy and the contributions of renewable energy to advancing a wide range of sustainable development goals. Malcolm McCulloch is Associate Professor in Engineering Science and a Tutor at Christchurch College. He is also the Founding Director of the Energy and Power Research Group, where he oversees active research programmes that cover four broad areas including the developing world, domestic energy use, transport and renewable generation. He is also Co-Director of the Oxford Martin Programme on Integrating Renewable Energy.